For many of us, success includes financial freedom and the ability to take care of those who fostered our growth; our loved ones. 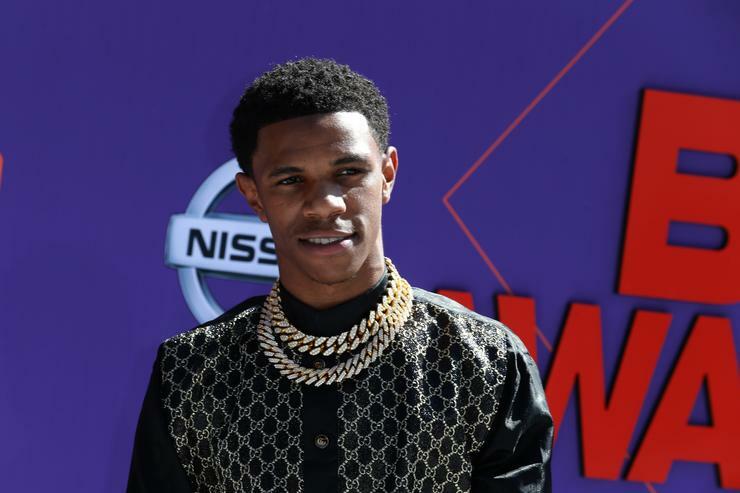 New York rapper A Boogie Wit Da Hoodie has experienced a considerable amount of success in the last few years, quickly becoming a staple in the music industry, and according to a recent Instagram post shared by his mother, has ensured that his family reaps the rewards of his artistry. The website, Celebrity Net Worth estimates that Boogie has assets totaling 3 million dollars. Boogie’s mother revealed a little bit about how the rapper puts his wealth to use by posting a picture of his family by the steps of a picturesque swimming pool surrounded by lush greenery. “So baby boy brought me a house yesterday!” she captioned the picture. She went on to reveal that her son’s gift giving did not end at the simple purchase of the house, he also went the extra mile to ensure that the house had all the necessary amenities. “And yes, he took me furniture shopping!” she added. “Thank you artist!” Quite the artist indeed. Boogie was recently featured on a PNB track titled “All of Us” alongside Chicago rapper Lil Durk. If you haven’t heard it already, you can check it out here.